Now you guys can transform your Facebook account into Facebook pages. This is very useful if you have 1k, 2k friends on your profile. but you can't revert back to your profile so be careful. 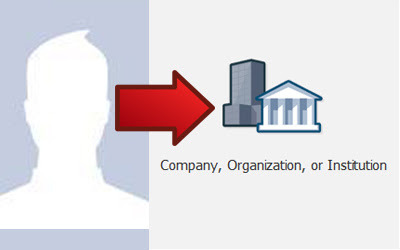 In this migration process only your profile photo and friends will be moved to your new Page. all other data will be lost. So, Download a copy of your Facebook data first. And appoint new group admin or a new Facebook Page admin to any groups or pages that you manage. The account you’re converting will lose these admin rights during the conversion process. 2. When you convert your profile (timeline) to a Facebook Page, Facebook will transfer your profile pictures and add all of your friends and subscribers as people who like your page.